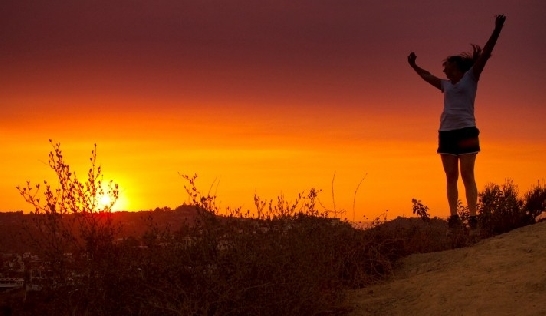 The best places to run in Los Angeles: Beaches, Parks, Canyons, Boulevards! Sun. Beaches. Stars. Canyons. Hills. Those words describe running in Los Angeles. 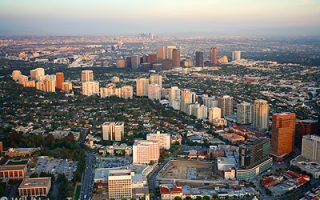 L.A. is the second most populated city in the country and it is geographically huge. 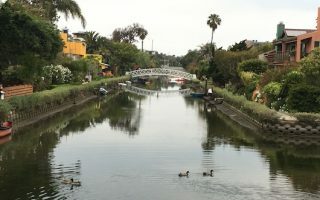 Our guide to the best places to run in Los Angeles includes some fabulous places, with some of the most variety of any city anywhere. 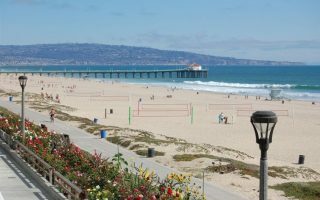 One can run for 20+ miles along a beachfront path from Santa Monica to Redondo Beach. 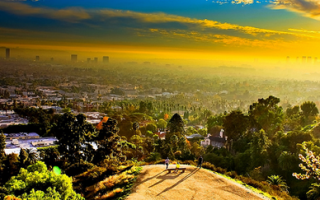 Griffith Park and Runyon Canyon are great urban parks with hills and awesome views. 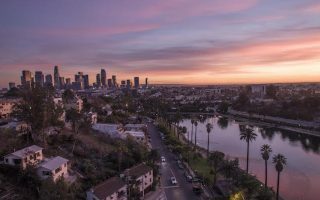 Closer to downtown and the Hollywood areas, running along the wide sidewalks of famous Wilshire Boulevard, Sunset Boulevard, and into Beverly Hills are must-dos. 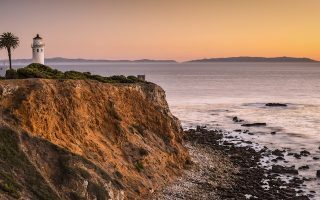 To the north, enjoy the rugged beaches around Malibu and the incredible, but challenging running trails of Topanga canyon and the Santa Monica hills. Downtown might not be a runner’s paradise, but there are options. Los Angeles is very spread out. 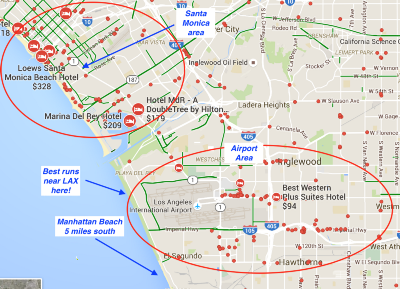 Runners planning a trip to L.A. should know the principal ‘areas’ of L.A. We’ve attempted to group the runs by ‘theme’ and ‘geographic area’, in our “Los Angeles Running Overview” , See the ‘stay’ section for info about clusters of hotels in proximity to those areas. 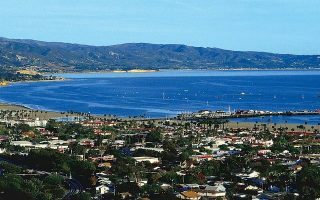 For more running options in the area, see our guides to Orange County, Santa Barbara, and San Diego. L.A. of course is known for its near-perfect weather: almost always sunny, and rarely too hot or too cold. That might be monotonous for those who live there, but visitors rarely complain. Public transportation options in L.A. are famously limited, although the situation has improved with the recent addition of a light rail/subway between Santa Monica and downtown. Since L.A. is such as huge city, use this as a handy guide to get oriented. We've grouped runs by theme (beaches, canyons & parks, and boulevards/streets/tours), and by area. Few cities in the world rival L.A. for fantastic beach running options. 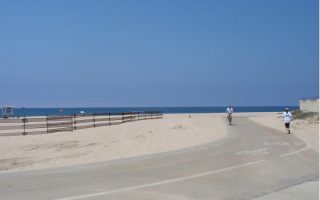 This 22-mile path starts at Rogers Beach in the north, to Venice, Manhattan, and Redondo beaches, ending at Torrance Beach in the south. One of the iconic sections of the Marvin Braude path. Starting at Santa Monica Pier, 3.3 miles to Venice Beach, ending at Washington Blvd. Includes Muscle Beach, the famed outdoor basketball courts, and Venice Skatepark. The iconic Los Angeles run -- famous Ocean Front Walk, beach, 'Grand Canal' paths, marina path all in one! We've put together a 6.5 mile loop combining these, which can be easily modified or added onto. 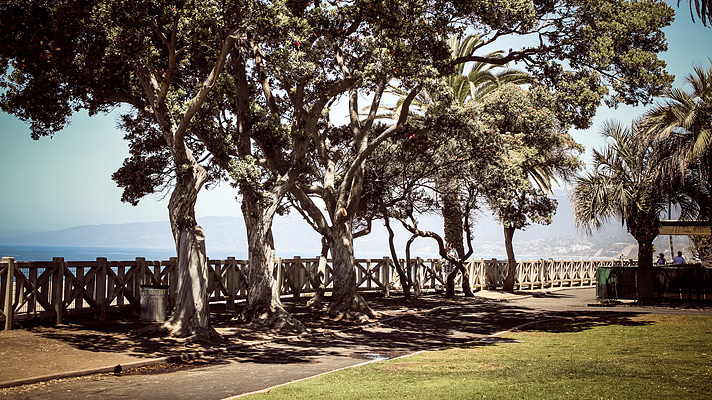 An iconic L.A. beach run and one of our favorite sections of the 22-mile Marvin Braude Trail. A highlight is “The Strand”, which pokes out for nearly 1 mile, affording great views. For extra cardio, do "the stairs"! There is a wealth of running opportunities in the canyons and trails in the Malibu Area. 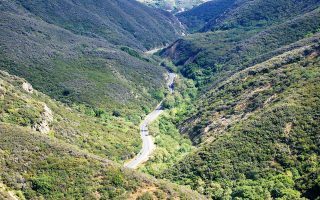 Topanga Canyon State Park, the Encinal Trails, Zuma/Trancas Canyons. Many feature very rugged trails and steep climbs . 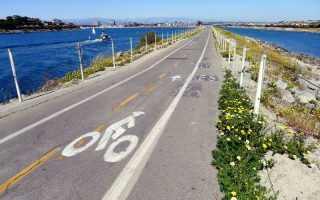 This is interesting area if near the Los Angeles Airport, combining a unique and scenic trail along Ballona Creek and wetlands, and a run along the beach in Playa Del Ray. Numerous options for more miles along the creek or the beach. 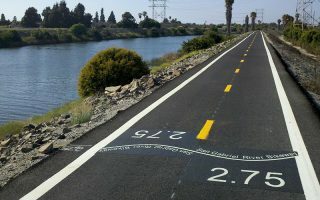 L.A. has a river running through it, and a very pleasant bike path along it provides a nice run and a good connection between Griffith Park, and Elysian Park/Dodger Stadium. Our map is of the ~7 mile trail in the heart of L.A.
Just two blocks from Hollywood Boulevard, affording great views of the Hollywood sign, the Sunset Strip and the LA Basin. A great opportunity for running/hiking an iconic L.A. canyon within the heart of the city. The largest municipal park with urban wilderness in the U.S., with 53 miles of trails and fire roads, many good for running. Attractions include the L.A. Zoo, Griffith Observatory, Autry National Center, and the Greek Theatre. This won't be the most scenic run ever, but if you're stuck downtown or at a convention with not a lot of time to get somewhere, see our recommendations for the best downtown L.A. running spots. A large urban park in East L.A. There are many options for trails. Short run includes some of the park’s trails, including the ‘summit’, & roads around Dodger Stadium. Longer version starts from City Hall. Note: hilly and poor signage. A loop around two lakes is a running oasis in busy downtown L.A. Of the two, Echo Lake Park is prettier. It's 1.5 miles between the lakes -- not the prettiest connection, but runnable. Wilshire Boulevard runs from downtown all the way to UCLA. Parts of it are quite interesting and runnable, others are very busy and not that pleasant. La Brea Tar Pits, LA County Museum. Made famous by many movies and songs, Sunset Blvd. is another interesting urban run, this one through the heart of Hollywood. Wide sidewalks and numerous landmarks. Can be busy. An iconic run in L.A. that takes you by some famous places: Electric Fountain on Wilshire Blvd., famous shops, Beverly Wilshire, Rodeo Drive, South Robertson Drive, Beverly Hills homes. This 4.3 mile run starts out along Melrose Ave.’s , shops & restaurants,then circling through the historic L.A. Farmers Market, upscale Grove shopping center, Pan Pacific Park, and then Beverly Blvd. back. 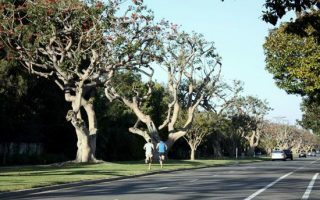 The shady, greenery-lined median of San Vicente Boulevard is a popular running spot near Santa Monica, Westwood, and Brentwood. The wide median park makes it very pleasant and roomy for runners. A large urban park in East L.A. There are many options for trails. Short run includes some of the park’s trails, including the ‘summit’, & roads around Dodger Stadium. Longer version starts from City Hall. Not many cities in the world have a weather chart that looks like this. Take a glance at it, envy it, and be confident in the fact that you’re almost guaranteed a sunny, warm day for your run in L.A. Note that it can occasionally get very hot, with temps in the 90s. But rarely humid. Also, nights can be cool, due to the dry, desert-like weather, with average lows in the 40s or 50s except June-Sept. 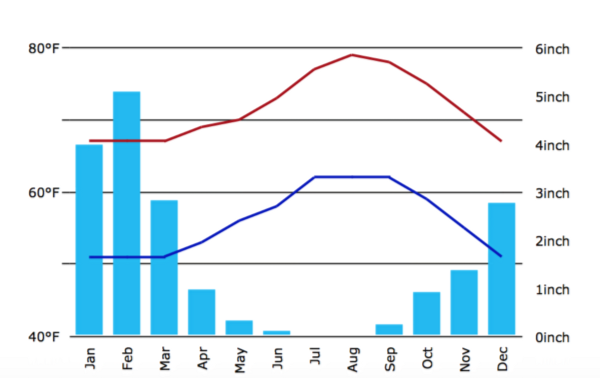 Rain can be plentiful in winter, but rare from May through September. There are tons of hotels downtown. 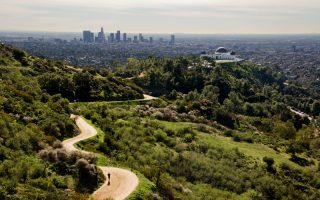 Best runs near there are: Griffith Park and Runyon Canyon Park. There are lots of hotels along Wilshire Blvd., which is also a nice run out to the La Brea tar pits and the L.A. County Museum of Art. 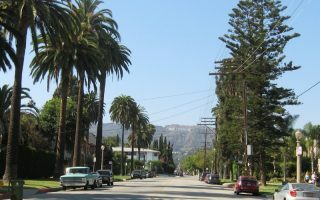 There are clusters of hotels in the Hollywood Hills, and the Beverly Hills area. 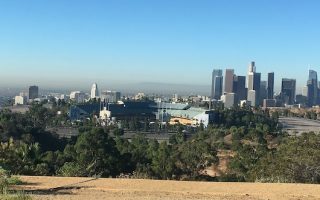 Best runs are Elysian Park and around Dodger Stadium. There is a cluster of hotels just west of the airport. 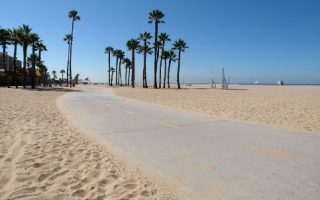 Best runs are directly east, 4–5 miles to Playa Del Rey/Marina Del Rey/Venice Beach. If you need to be near the airport, try to stay east, in the Marina Del Rey area. 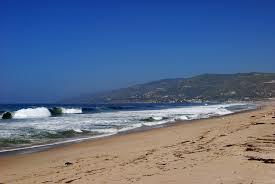 Santa Monica, also fantastic,is 12 miles northeast of LAX. Studio City: Road Runner Sports. Angela was super helpful! 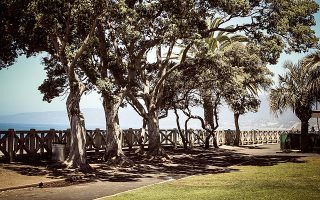 Santa Monica: Downtown Santa Monica Run Club meets Tuesdays, 5:30 p.m. in front of 1212 Restaurant on the Third Street Promenade near Wilshire Boulevard. Open to all! Info. L.A. Running Club. Lots of locations, resources, events. 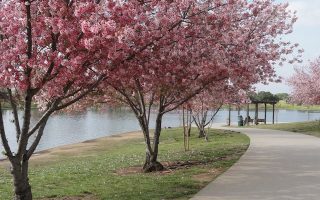 Here’s an article that lists 24 running clubs in the area. Mainly there’s 1–2 for each major geographic area. 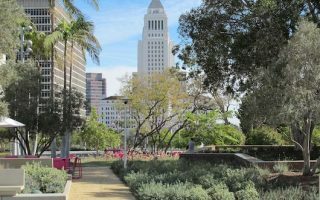 Look for L.A. Leggers and DTLA (Downtown) Running Club. Los Angeles Marathon. From the Stadium to the Sea. Mid-February. LA Big 5k. Popular race in Elysian Park/Dodger Stadium the day before the LA Marathon. Redondo 10k Super Bowl Run. Nearly 10,000 runners, Super Bowl Sunday, along the beach, 38th year. Rock ‘N Roll L.A. L.A. version of the popular series, usually in October. Topanga Canyon Turkey Trot. Trail race on Thanksgiving Day with several distance options. Part of a series of trail races in the area.